The proposed CRRRC facility is intended to offer an option for commercial waste processing, recovery and disposal in the Capital Region. Taggart Miller Environmental Services is a partnership consisting of two Canadian companies. Taggart is a large, Ottawa-based, construction and property development company; Miller Waste Systems is a long established waste diversion and recycling company with a very successful reputation in delivering these systems and services to both private and public sector clients in other parts of Ontario, the Maritimes and Manitoba. Taggart and Miller are family-owned businesses for whom reputation is paramount and who look forward to working with the local community as partners in this project should it proceed. Taggart Investments Inc. is a highly regarded Ottawa-based family owned business which was founded in 1948. The organization has grown to consist of four major operating companies (Tamarack Homes, Doran Contractors, Taggart Realty Management and Taggart Construction Ltd.) employing over 350 staff and providing diversified services to a broad public and private sector client base. 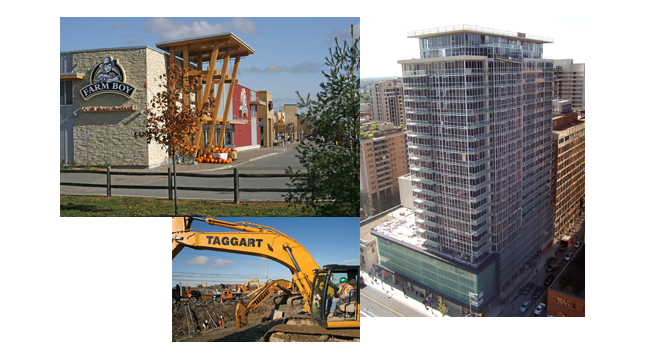 Taggart Construction Ltd. is Eastern Ontario’s largest civil works contractor specializing in underground and municipal infrastructure construction. The other operating companies provide general contracting/construction management on municipal, institutional, residential and commercial developments. Development and construction projects include a wide range of housing developments from single family to high rise condominiums. The management arm of the organization manages the acquisition and development of both residential and commercial real estate. The company currently operates in all parts of Eastern Ontario, and holds offices in both the city of Ottawa and the city of Kingston. Miller Waste Systems Inc. is part of The Miller Group, a privately owned diversified Canadian Company that, since 1916, has provided the public and private sectors in North America with road construction and rehabilitation, waste management and recycling services, transit operations, and aggregate-based materials, asphalt, cement and ready-mix concrete products. Starting in 1961 in Markham, Miller Waste Systems currently is a diverse waste management services provider in Ontario, Manitoba and the Maritimes operates over 450 collection vehicles and has over 850 employees. Miller Waste systems is a waste management leader in the Canadian marketplace, known as a company who identifies, designs, builds and operates appropriate technologies to provide long-term, economically viable, waste management solutions (collection, recycling, diversion, transfer) for both large and small municipalities and private sector IC&I customers. Miller has constructed and successfully operates four open windrow and in-vessel organics composting facilities in Ontario and the Maritimes capable of processing about 175,000 tonnes/year. Miller also designs, constructs and operates facilities for processing recyclables. 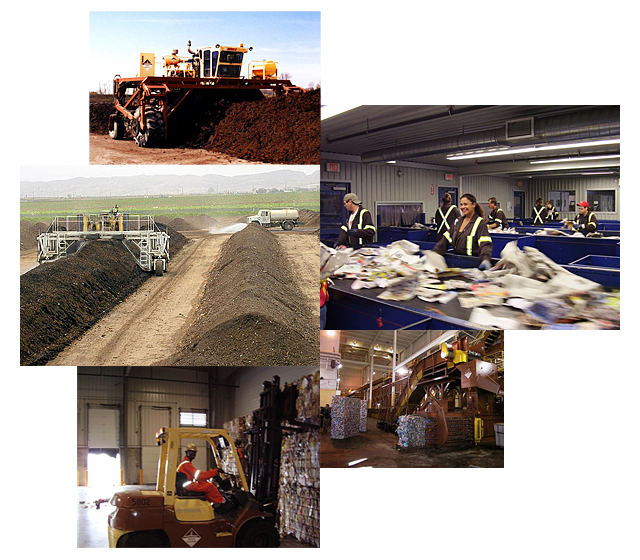 Currently, Miller has designed, built and operates waste recycling and recovering facilities in Durham Region, York Region, London, Owen Sound, North Bay and Halifax. Miller currently recovers approximately 150,000 tonnes of residential recyclables annually. Additionally, Miller processes and recovers IC&I/C&D materials in the Greater Toronto area. Miller has an established network of end markets for recycled products and compost.